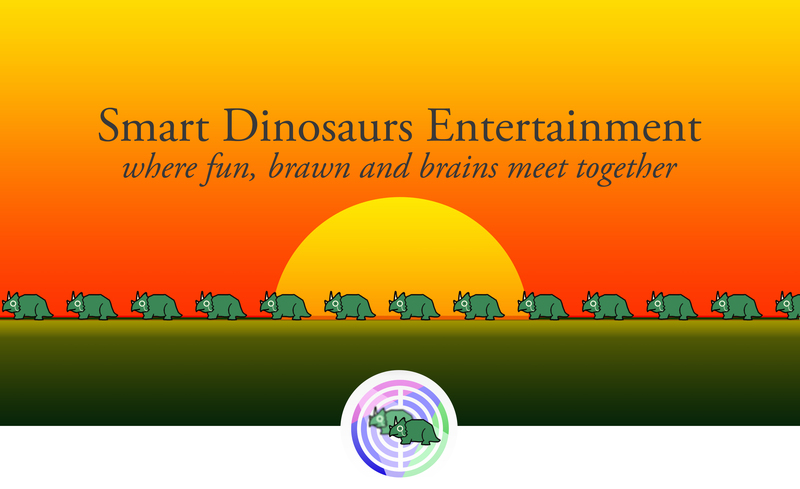 Why the name “Smart Dinosaurs Entertainment”? Names are always a curious thing, and it is interesting to know the thought process behind the choosing of a name. When I started programming for Android with a serious intent to make useful apps for people, I considered what I would like to be called. I wanted the name to sound cool, charismatic, iconic so that it sticks in people’s mind. But I wanted it to also be relevant, and not cool just for the sake of cool. I am a fan of the rock band, Imagine Dragons. I liked how the ring of their name and started playing with words like Dragons, Dinosaurs and other majestic creatures. I stuck with dinosaurs and wanted to see what adjective suits it best and at the same time is not a brand name for another existent company. Smart sounded, well, like a smart choice. It reflects the smart, clever and innovative app designs that I strive for. Dinosaurs are universally liked creatures (except when they torment us in movies like Jurassic Park and Godzilla) and the idea of smart dinosaurs is very intriguing. It represents an interesting combination of brains and brawn, and perhaps reflective of a very rare kind of creature. I strive to make my apps unique, clever and simple. And Smart Dinosaurs sound like the kind of creatures who may be able to build such apps! Hence the name. Oh, and entertainment, because, well, smart dinosaurs like to party! What is the idea behind the logo? The logo is derived from the brand name of my apps. The dinosaurs are clearly smart, as they are wearing monocles, and the background depicts the colorful lights of a late night party or concert! The circles bring a harmony and pleasantness to the overall design, while adding a touch of mystique. What is the idea behind the header graphic? The smart dinosaurs are lining up to go to the concert, where they will later party at night. The logo is a depiction of said partying.